Munster will likely be without star outhalf Joey Carbery for their Champions Cup semi-final clash with Saracens. 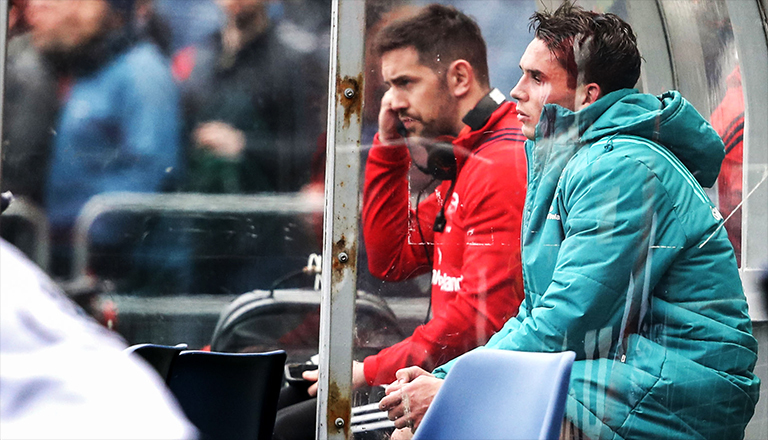 Head coach Johann van Graan has admitted Carbery’s chances of recovering in time for the trip to Coventry on 20 April were very slim with New Zealander Tyler Bleyendaal now expected to start in his absence. Carbery limped out of the semi-final win over Edinburgh with a hamstring problem having only just returned from a similar issue. A huge blow for Munster.